Cool Flame Heating & Air Conditioning - Cool Flame Heating and Air Conditioning provides heating and air conditioning service for residential & commercial. 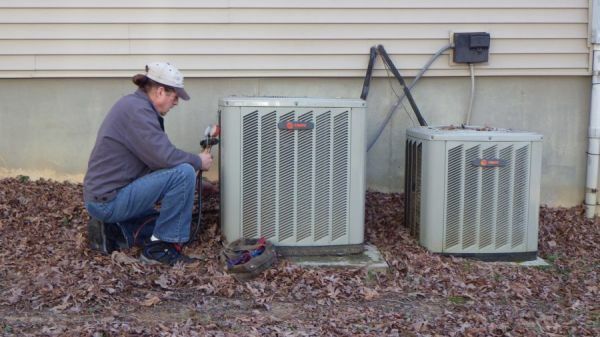 We service heaters, furnaces & provide heating and cooling retrofit & replacement. Cool Flame Heating and Air Conditioning provides heating and air conditioning service for residential & commercial. We service heaters, furnaces & provide heating and cooling retrofit & replacement. Working hours Monday-Fri 8:00 a.m.- 5:00 p.m.
For over 30 years, Cool Flame Heating and Air Conditioning personnel have been providing residential & Light Commercial heating & cooling services, heating & cooling equipment retrofit & replacement, professional HVAC installations and high quality budget minded services. We service all makes & brands of equipment. Our technicians are trained and equipped to handle anything from routine maintenance on a residential HVAC system to a complete retrofit of an existing HVAC system. DC Cheek Heating & Cooling offers heating and air conditioning services. Heating and air conditing services that prioritze your comfort. One Hour Heating and Air Conditioning offers you quick and professional HVAC services in Atlanta and Marietta. Call today to get help with air conditioner or furnace repair, duct cleaning. Americool Air Conditioning & Heating Inc. is a full-service residential and commercial heating and air conditioning contractor.